In the light of growing political and religious fundamentalism, this open access book defends the idea of freedom as paramount for the attempt to find common ethical ground in the age of globality. The book sets out to examine as yet unexhausted ways to boost the resilience of the principle of liberalism. Critically reviewing the last 200 years of the philosophy of freedom, it revises the principle of liberty in order to revive it. 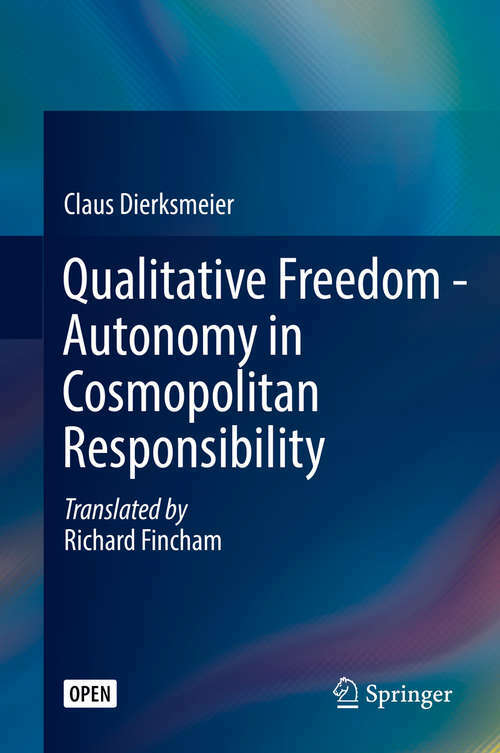 It discusses many different aspects that fall under its three main topics: the metaphysics of freedom, quantitative freedom and qualitative freedom. Open societies worldwide have come under increasing pressure in the last decades. The belief that politics and markets fare best when guided by the principle of liberty presently faces multiple challenges such as terrorism, climate warming, inequality, populism, and financial crises. In the view of its critics, the idea of freedom no longer offers adequate guidance to meet these challenges and should be partially corrected or even entirely replaced by countervailing values. Against the reduction of freedom to the merely quantitative question as to how much liberties individuals call their own, this book draws attention to the qualitative concerns which and whose opportunities society should foster. It argues that, correctly understood, the idea of liberty commits us to defend as well as advance the freedom of each and every world citizen.